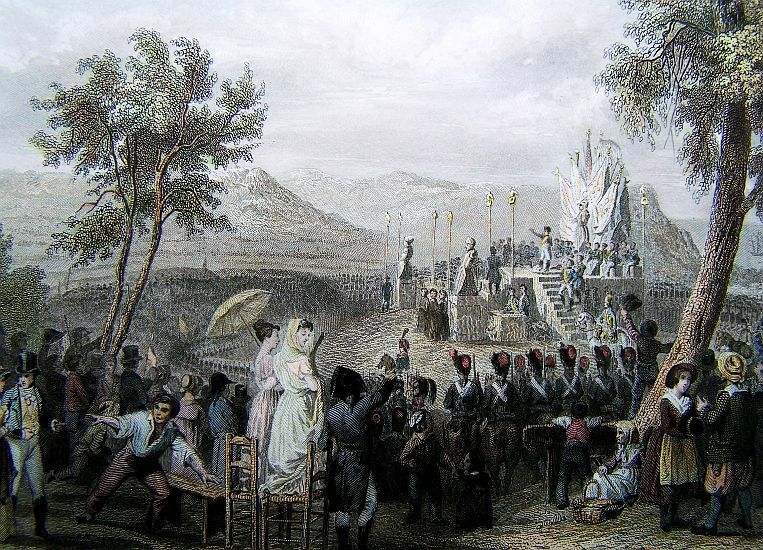 In May, Lannes accompanied Napoleon to Italy where the Emperor crowned himself the King of Italy. In August, the army that had prepared for invading England turned it’s eyes toward Austria. The Austrians were amassing their army for war, so Lannes and the Grand Army prepared to march on Vienna. The Austrain army had over extended itself with a part of it isolated at Ulm. 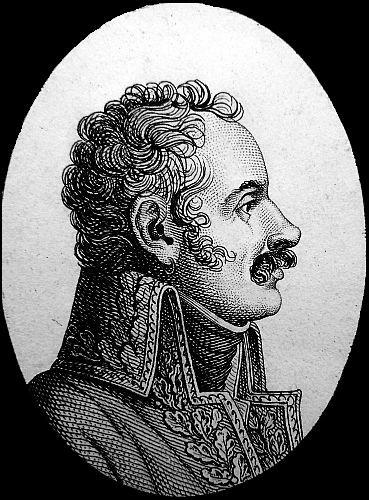 Napoleon noticed the Austrian mistake and put plans in motion to engage the enemy at that location. 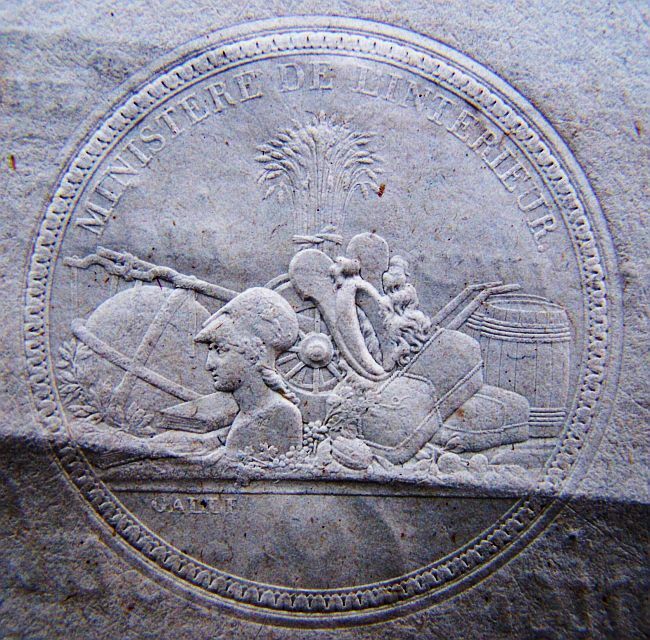 On the 6th of October 1805, Lannes crossed the Danube and marched towards the sound of cannon fire. Murat was engaged with 6,000 Austrians at Wertingen, but soon after the arrival of Lannes the Austrians were defeated. On the 12th of October, Lannes reached the outskirts of Ulm, and then proceeded to survey the enemy’s strength. His corps would then be reinforced by St. Hilaire and Suchet. The Austrians soon realized that they had been out manouevered, and made an attempt to break out on the 14th. The Austrians were met by Ney at Elchingen, who refused help from Lannes. Ney would win the day while Lannes over the next couple of days, engaged small detachments of Austrians attempting to leave Ulm. With the Austrians out of options, the Austrian General Mack surrendered to the French. 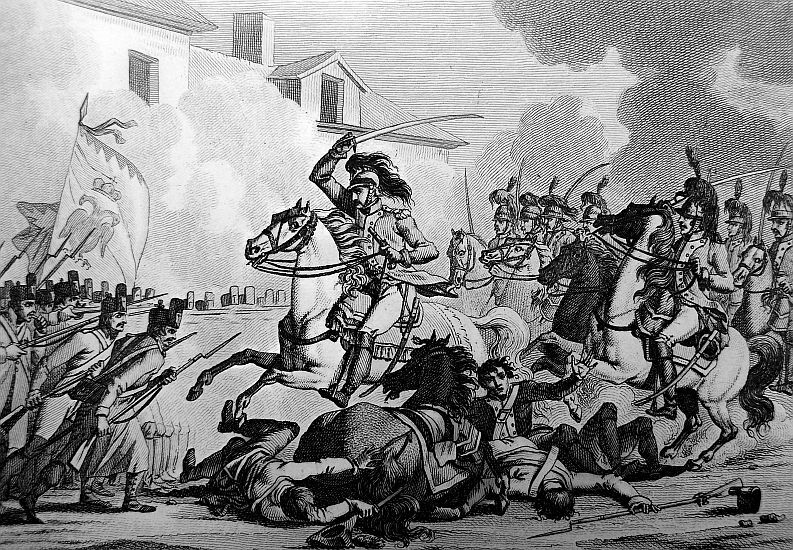 Lannes and the Grand Army were then ordered to march to Landshut. Lannes would take Suchet and Gazan with him, and they arrived there on the 26th. The fate of the campaign was still undecided, but soon they would meet again at Austerlitz. 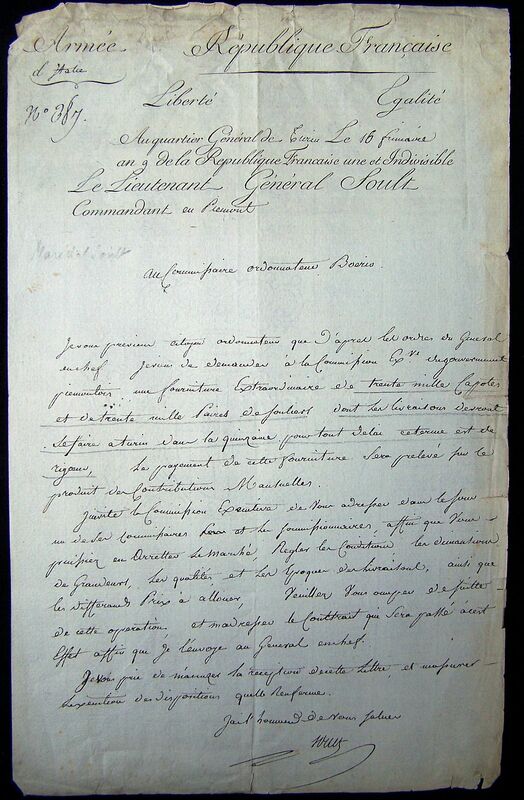 According to a private letter from Lisbon, dated August 18, received by the last Mail, General SEBASTIANI was expected there as Ambassador, in the room of General LANNES, who has gone to take command in the army at Boulogne. be necessary. Prince Murat is marching on Rastadt. The EMPEROR left Paris on the 24th, and arrived at Strasburgh on the 26th. 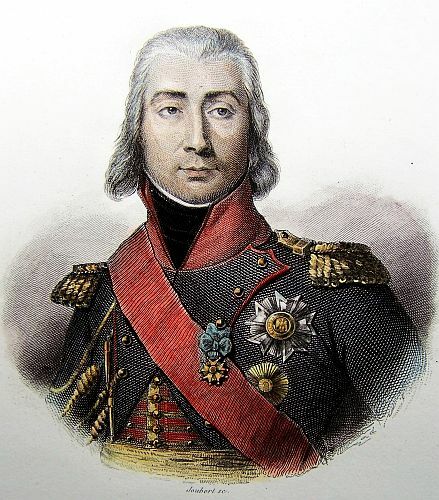 Marshal BERNADOTTE, who, at the moment that the army set out from Boulogne, advanced from Hanover towards Gottingen, marched by Frankfort for Wurtzburgh, where he arrived on the 23d of September. General MARMONT, who arrived at Mentz, passed the Rhine by the Bridge of Cassel, and advanced to Wurtzburgh, where he formed a junction with the Bavarian army, and the corps under Marshal BERNADOTTE. The corps of Marshal DAVOUST, passed the Rhine on the 26th at Manheim, and marched by Heidelburgh and Necker-Eliz, on the Necker. The corps under Marshal SOULT passed the Rhine the same day, on the bridge which was thrown over it at Spires, and advanced towards Heilbronn. Marshal NEY’S division passed the Rhine the same day by the flying bridge oppisite Durlach, and marched towards Stutgard. 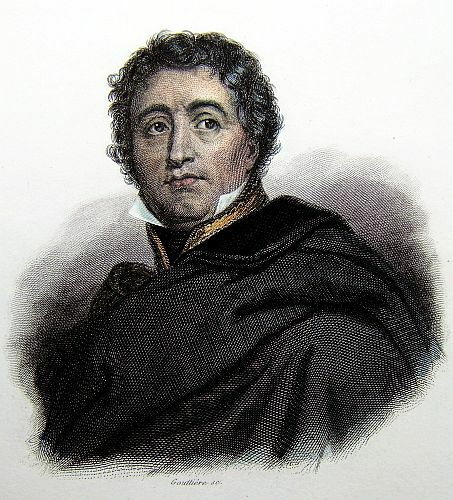 The Corps under Marshal LANNES passed the Rhine the 25th, at Kehl, and advanced towards Louisburgh. Prince MURAT, with the cavalry of reserve, passed the Rhine at the same place, and on the same day, and remained for several days in position before the defiles of the Black Forest. His patrols, which often shewed themselves to the enemy’s patroles, induced them to believe that it was our intention to penetrate by these defiles. The great park of artillery passed the Rhine at Kehl, on the 30th September, and advanced towards Heilbronn. The EMPEROR passed the Rhine on the 1st inst. at Kehl, slept at Ettlingen the same evening, received there the ELECTOR and PRINCESS of BADEN, and went to Louisburgh to the ELECTOR of WURTEMBURGH, in whose palace he took up his abode. On the 2d inst. the divisions of Marshal BERNADOTTE, General MARMONT, the Bavarians who were at Wurtzburgh, formed a junction, and began their march for the Danube. The corps of Marshal DAVOUST marched from Necker-Eltz, by the route of Meckmuhl, Ingelfingen, Chrerlsheim, Dunkelsbuhl, Frembdingen, Oettingen, Haarburgh, and Donauwerth. The corps of Marshal SOULT marched from Heilbronn and followed the route of Ochringen, Hall, Gaildorff, Abslgmund, Aalen, and Nordlingen. The corps of Marshal NEY marched from Stutgard, following the route of Erslingen, Goppingen, Weissenstein, Heydenheim, Natkeim, and Nordlingen. The corps of Marshal LANNES advanced from Louisburgh, taking the road from Gross-Beutelspach to Plederhausen, Gemund, Aalen, and Nordlingen. The following was the position of the army on the 6th instant:–The corps of Marshal BERNADOTTE, and the Bavarians, were at Weissenburgh. The corps of DAVOUST was at Oettingen, and on the Banks of the Rednitz. That of Marshal SOULT at Donauwerth, in possession of the Bridge of Munster, and repairing that of Donauwerth. The corps of Marshal NEY was at Koeffingen. That of LANNES was at Neresheim; Prince MURAT, with his dragoons, stood on the Banks of the Danube. The men were in perfect health, and burning with desire to engage the enemy. The enemy had approached the entrances into the Black Forest, where it seems they intended to make a stand, and prevent our entering. They had fortified the Iller. Memmingen and Ulm were also fortifying in great haste. Our patroles assert, that the enemy have stopped their proceedings, and appear dismayed at our unexpected movements. The French and Austrian patrols have frequently met; in those meetings we have taken prisoners forty men of the Regiment of Latour cavalry. The grand and extensive movement has brought us, in the course of a few days, into Bavaria; it has enabled us to avoid the Black Mountains; the line of those Rivers, which flow parallel into the valley of the Danube; the difficulties of a state of operations which would always have been flanked by the entrances into the Tyrol; finally, it has placed us several marches in the rear of the enemy, who has no time to lose, to avoid his total destruction. Events succeed each other with the greatest rapidity. On the 6th, the second division of that part of the corps under Marshal SOULT, which is commanded by General VANDAMME, made a forced march, rested only two hours at Nordlingen, arrived at Donawerth at eight o’clock in the evening, and gained possession of the bridge, which was defended by the regiment of Colloredo. Some men were killed and taken prisoners. 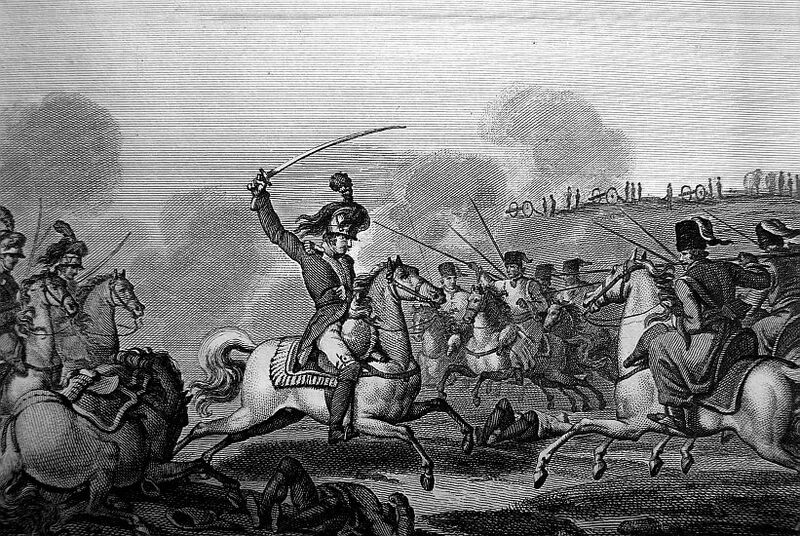 On the 7th, at break of day, Prince MURAT arrived with his dragoons. The bridge had just been repaired, and Prince MURAT, with the division of dragoons commanded by General WATTER, advanced to the Lech, and ordered Colonel WATIER, at the head of two hundred dragoons of the 4th Regiment, to pass over; who, after a very brilliant charge, took the bridge of the Lech, and routed the enemy, whose force was double. On the same day Prince MURAT slept at Rain. On the 8th, Marshal SOULT set out with the two divisions of VANDAMME and LEGRAND, on his way to Ausbourg, whilst General ST. HILAIRE, with his division, advanced thither by the left bank. 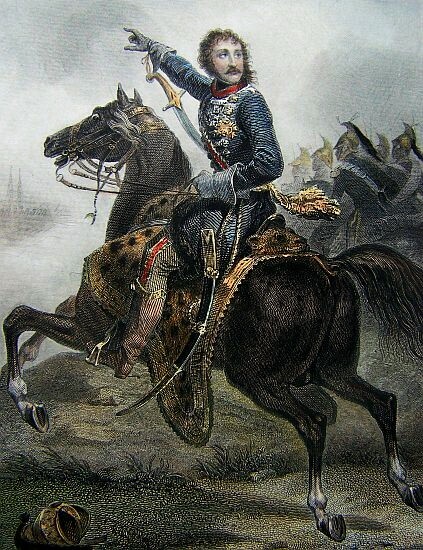 On the same morning, at break of day, Prince MURAT, at the head of the divisions of dragoons of General BEAUMONT and KLEIN, and of the division of carabineers and cuirassiers, commanded by General NANSOUTY, began his march, for the purpose of cutting off the road from Ulm to Augsbourg. When he had arrived at Wertingen, he perceived a strong division of the enemy’s infantry, supported by the four squadrons of ALBERT’S cuirassiers. He Immediately surrounded the whole corps. Marshal LANNES, who marched behind these divisions of cavalry, arrived with the divisions of OUDINOT: and after an engagement which lasted two hours, the colours, guns, baggage, officers, and soldiers, in short the whole division of the enemy, was taken. These were twelve battalions of grenadiers, who were coming in great haste from the Tyrol to the assistance of the army in Bavaria. The details of this truly brilliant action will not be known till tomorrow. Marshal SOULT, with his divisions, manoeuvred, throughout the whole of the 7th and 8th, on the left bank of the Danube, in order to intercept the debouches of Ulm, and to observe the corps which appeared to be still collected in that place. 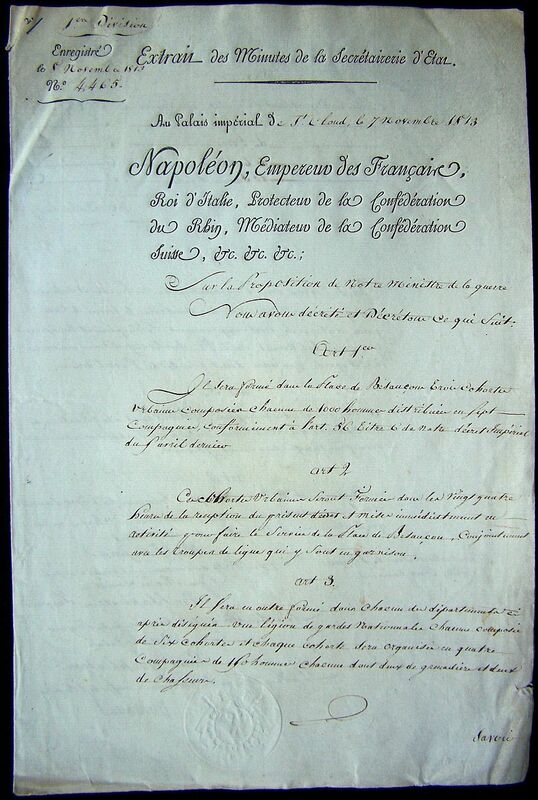 The corps of Marshal DAVOUST arrived only on the 16th at Neubourg. General MARMONT’S corp is also arrived there. The corps of Marshal BERNADOTTE, and the Bavarians, arrived on the 2d at Aichstett. It appears that twelve Austrian regiments have quitted Italy to reinforce the army of Bavaria. The official account of these marches and events will interest the public, and do the army the highest honour. They write from Mantua, that the provisioning of that place, in case of siege, is almost concluded. The works for new fortifications are also on the point of being finished. Since the 2d of this month, strangers have not been allowed to travel through Mantua: they must now pass by Goito. The city gates are now only opened for estasettes and couriers. The inhabitants have no access to the works. the Guard, where I expect Marshal Soult has already arrived. 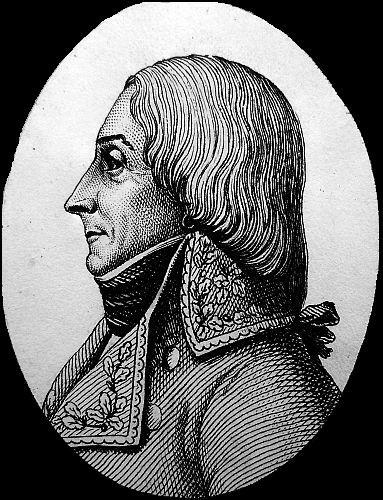 Marshal SOULT pursued the Austrian division, which had taken refuge at Aicha, drove it from thence, and on the 9th at noon entered Augsburgh, with the divisions of VANDAMME, ST. HILAIRE, and LEGRAND. On the 9th, in the evening, Marshal DAVOUST, who crossed the Danube at Neuburgh, arrived at Aicha with his three divisions. General MARMONT, with the divisions of BOUDET, GROUCHY, and the Batavian division of General DUMONCEAU, passed the Danube, and took a position between Aicha and Augsburgh. In fine, the army under Marshal BERNADOTTE, together with the Bavarian army commanded by General DEROI and WREDE, took their positions at Ingolstadt. The Imperial guard, commanded by General BESSIERES, proceeded to Augsburgh; as likewise the division of Cuirassiers, under the command of General HAUPOULT. Prince MURAT, with the division of KLEIN and BEAUMONT, and the division of carabineers and cuirassiers under General NANSOUTY, hastened with all speed to the village of Zusmerhausen, in order to intercept the road from Ulm to Augsburgh. 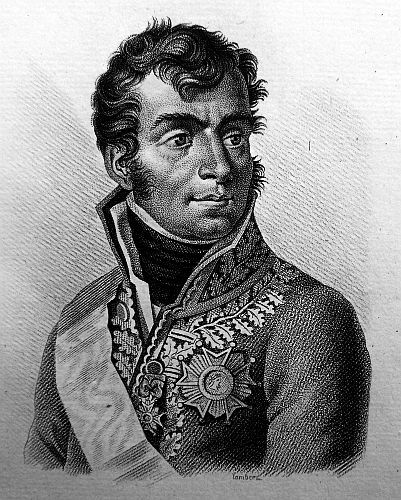 Marshal LANNES, with the grenadier division of OUDINOT, and the division of SUCHET, took post the same day in the village of Zusmerhausen. The EMPEROR passed in review the dragoons of Zusmerhausen: he ordered to be brought before him a dragoon, name MARENTE, of the 4th regiment, one of the gallant soldiers who, in the passage of Lech, had saved his Captain, who but a few days before had cashiered him from his rank. His MAJESTY bestowed upon him the Eagle of the Legion of Honour. 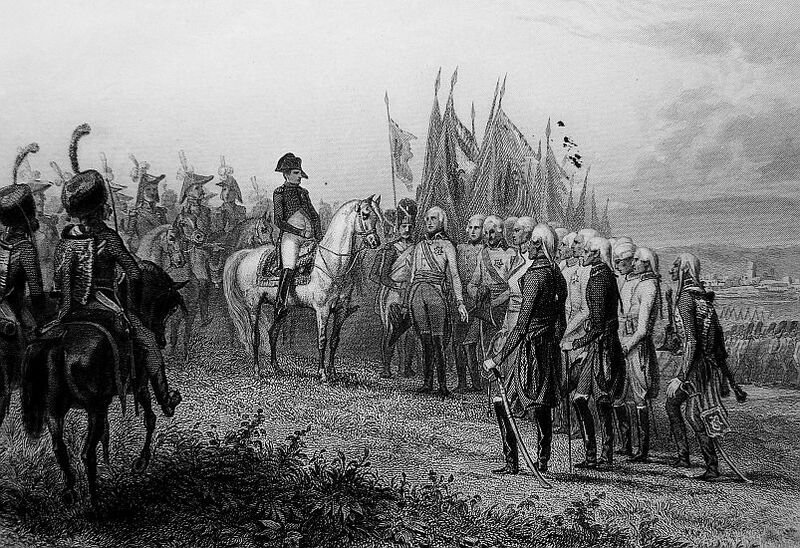 The soldier then observed, “I have only done my duty; my Captain degraded me on account of some violation of discipline, but he knows that I have always proved a good soldier.” The EMPEROR next expressed his satisfaction to the dragoons, of the conduct they had displayed at the battle of Wertingen. He ordered each regiment to present a dragoon, on whom he also bestowed the Eagle of the Legion of Honour. OUDINOT’S division were indignant at the distance which still prevented them from attacking the enemy; but at the very sight of them the Austrians hastened their retreat–one brigade only was in time to charge. All the cannon, colours, almost all the Officers of the enemy’s army who fought at Wertingen, were taken: a great number were killed. Two Lieutenant-Colonels, six Majors, sixty Officers, and four thousand soldiers, have fallen into our hands. The remainder were dispersed; and what escaped owed their safety to a morass, which stopped a column that was turning the enemy. 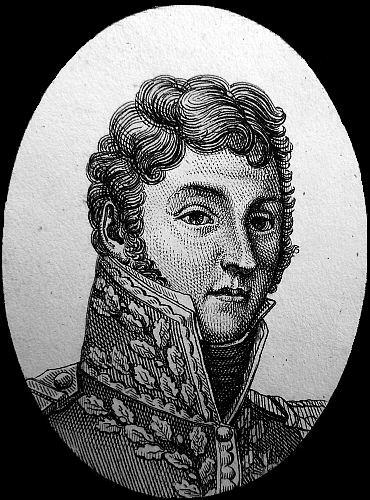 The Chief of Squadron, EXCELMANS, Aide-de-Camp of Prince MURAT, had two horses killed under him. It was he who carried the colours to the EMPEROR, who said to him, ‘I know no man can be braver than you; I make you an Officer of the Legion of Honour.’ His MAJESTY expressed his satisfaction to the grenadiers of General OUDINOT’S division, than which a finer or more enthusiastic corps cannot possibly exist. Until we are enabled to give a detailed account of the battle of Wertingen, it may be proper to say something in the present bulletin. Colonel ARRIGHI, at the head of his regiment of dragoons, charged the regiment of cuirassiers of Duke ALBERT. The action was very sharp. 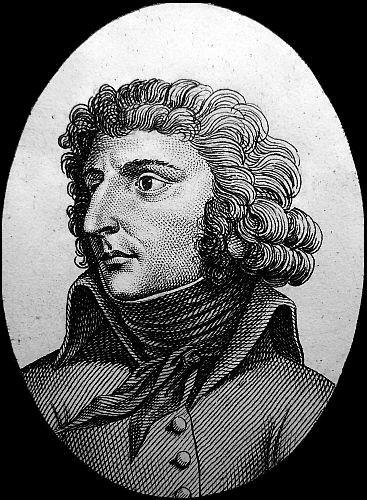 Colonel ARRIGHI had his horse killed under him, and his regiment burned with eagerness to rescue him. Colonel BEAUMONT, of the 10th Hussars, fired with true French spirit, seized upon a Captain of Cuirassiers, in the midst of the hostile ranks, whom he himself made a prisoner, after having cut down a dragoon. 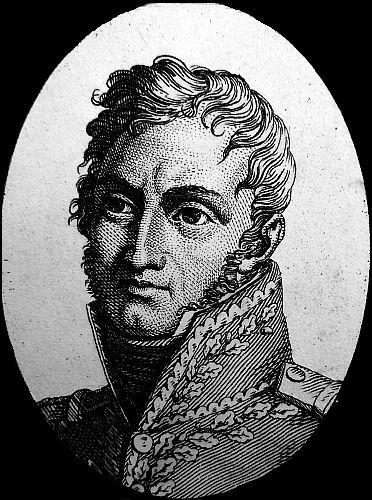 Colonel MAUPETIT, at the head of the 9th Dragoons, charged in the village of Wertingen; being mortally wounded, his last words were–‘Let the Emperor be informed, that the 9th Dragoons have shewn themselves worthy of their reputation; and that they charged and conquered, exclaiming, Long live the Emperor!’ That column of Grenadiers, the flower of the enemy’s army, having formed a square of four battalions, were penetrated and cut down. The 12th battalion of dragoons charged in the wood. Marshal NEY on his side, with the divisions of WALLER, DUPONT, and LOISON, the division of dragoons of General D’HILLIERS, and the division of GAZAN, ascended the Danube, and attacked the enemy in their position at Grumberg. It is now five o’clock, and we hear the firing of cannon. It rains heavily; but this does not retard the forced marches of the grand army. The EMPEROR sets the example on horseback night and day, he is continually in the midst of the troops, and in every point where his presence is necessary. He yesterday rode 14 leagues. He slept in a small village without servants, and without any kind of baggage. The BISHOP of Augsburgh had, however, illuminated his palace, and waited his MAJESTY during a part of the night. From the Lower Elbe, Oct. 16. 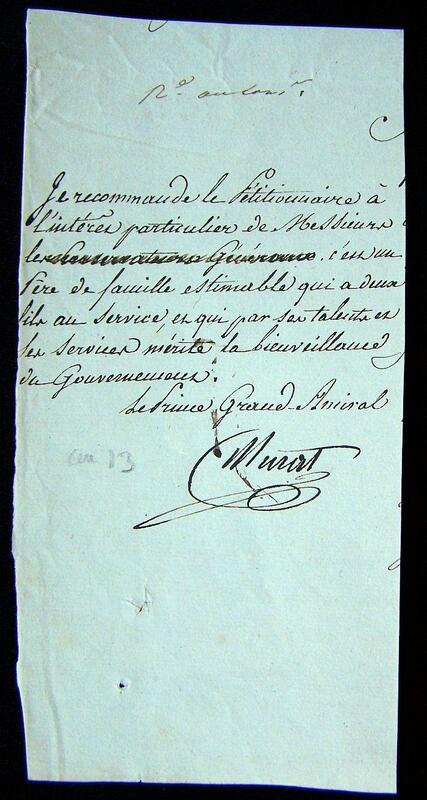 To General BARBOU, Commander at Hanover. Head Quarters at Psaffenhoven, Oct. 10, 1805. This day I am only eight leagues distant from Munich, and tomorrow I shall leave this place, to march for that city. We have been assured, that the Austrians have assembled there; but I am much mistaken if they will long defend the Iller. The troops of Marshal LANNES have already fought in action, the result of which is very brilliant: we have taken from the Austrians eleven battalions of Grenadiers, and eight hundred horses, colours, cannon–in short, every thing. The enemy is full of consternation in consequence of this debut. The battle of Wetingen has been followed, within the space of twenty four hours, by the battle of Gunsbourg. Marshal NEY caused the whole of his body to push forward; the division under the command of General LOISON, towards Langenau, and that commanded by General MALHER, towards Gunsbourg. The enemy who attempted to make head against these movements was defeated in every direction. 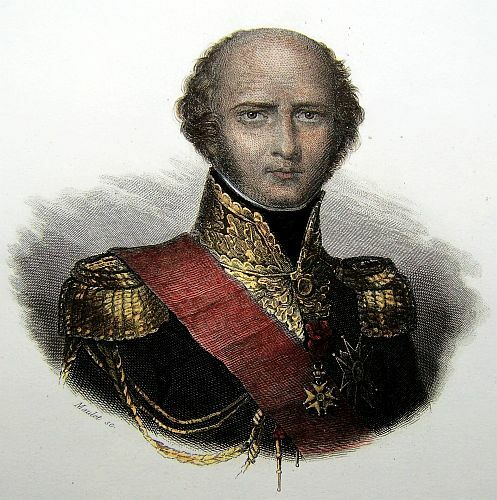 It was in vain that Prince FERDINAND hastened in person to undertake the defence of Gunsbourg. The position was, in pursuance of General MALHER’S orders, attacked by the 59th regiment, and an obstinate engagement took place man to man. 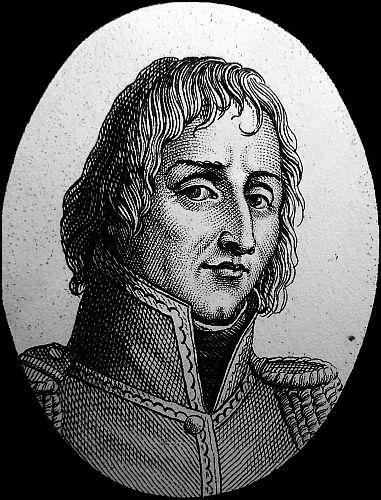 Colonel LACUEE was killed at the head of his regiment, which, notwithstanding the most vigorous resistance, carried the bridge by storm; the pieces of cannon, by which it was defended, fell into our hands, and the advantageous position of Gunsbourg remained in our possession. The three attacks made by the enemy proved useless, they retreated with precipitation; Prince MURAT’S reserve came up at Burgau, and cut off the enemy in the night. The circumstantial details of the battle, which cannot be published for a few days, will announce the names of those officers who distinguished themselves. 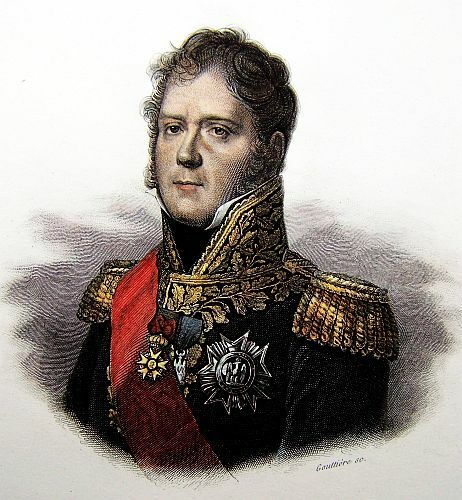 The EMPEROR passed the whole of the night, from the 9th to the 10th, and part of the next day, between the corps commanded by Marshals NEY and LANNES. The activity of the French Army; the extent and complication of its operations, of which the enemy were entirely ignorant, have disconcerted them extremely. The conscripts display as much courage and eagerness as the veterans. When they have once been in the midst of the fire, they lose the name Conscripts, and they all aspire to the honour of being called soldiers. The weather has continued for several days to be bad. It still rains a great deal; but the army, notwithstanding, enjoys excellent health. The enemy lost upwards of 2500 men in the battle of Gunsbourg. We have taken 1200 prisoners and six pieces of cannon. We lost in killed and wounded 400 men. 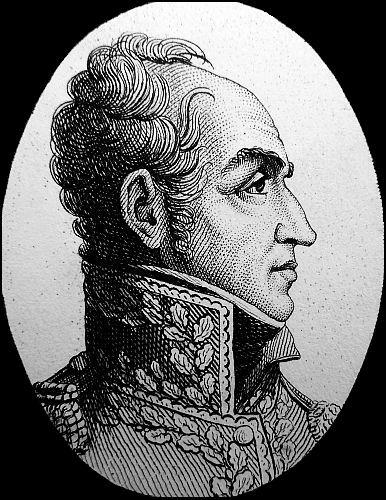 Major-General D’ASPRE is among the prisoners. The EMPEROR arrived at Augsbourg the 10th, at nine at night. The town has been in our possession for two days. The communication of the enemy’s army has been cut off at Augsbourg and Landsberg, and will be equally so at Fuessen. 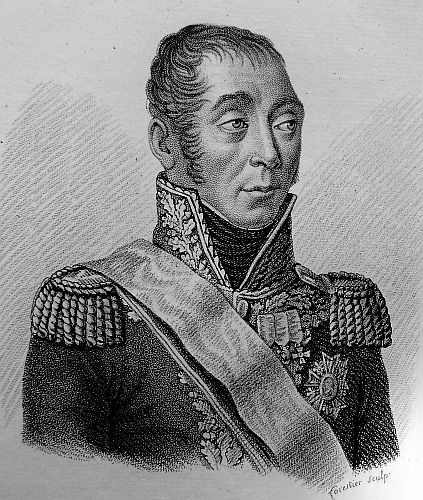 Prince MURAT, with the corps of Marshal NEY and LANNES, is in pursuit of them. Ten regiments have been withdrawn from the Austrian army of Italy, and are conveying with the utmost rapidity from the Tyrol. Several of them have been already made prisoners. Several corps of Russians, which are also advancing post haste, are pressing forward to the Inn; but such are the advantages of our position, that we can make head against the enemy in all quarters. The EMPEROR has taken up his residence at Augsbourg, in the palace of the former ELECTOR of TREVES, who has treated with great magnificence the suite of his MAJESTY as they successively arrived. Events of great consequence–the battles of Albeck, Elchingen, and the capture of Ulm and Memmingen, followed the actions at Wertingen and Guntzburgh. Marshal SOULT arrived, on the 13th, before Memmingen; immediately surrounded the town, and after some negotiation the Commandant capitulated. Nine battalions, two of which were grenadiers, taken prisoners; a Major-General, three Colonels, many superior Officers, ten pieces of cannon, a great deal of baggage and ammunition of every kind, was the result of this affair. All the prisoners were immediately sent to head-quarters. At the same time Marshal SOULT marched for Ochsenhausen, for the purpose of reaching Biberach, and cutting off the only retreat which lay open to the Archduke FERDINAND. On the other hand, on the 13th, the enemy made a sortie from Ulm, and attacked the division of DUPONT, which occupied the position of Albeck. The battle was a most obstinate one. Surrounded by twenty-five thousand men, these six thousand brave fellows opposed them on all sides, and took fifteen hundred prisoners. This corps should not be astonished at any thing; it consisted of the 9th Light, the 32d, 69th, and 76th of the line. On the 13th the EMPEROR went to the camp before Ulm, and ordered the army of the enemy to be invested. The first operation was to take possession of the bridge, and the position of Elchingen. 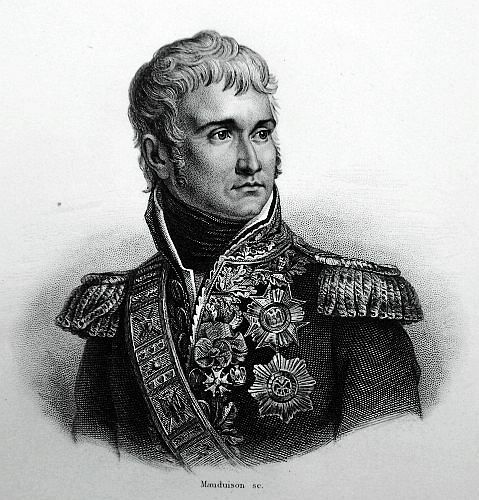 On the 14th, at day-break, Marshal NEY passed the bridge at the head of LOISON’S division. The enemy opposed his taking possession of Elchingen, with 16,000 men; they were every where overthrown, lost 3,000 men who were made prisoners, and were pursued to their entrenchments. Marshal LANNES occupied the small heights which command the plain above the village of Pfoel. The Sharp Shooters carried the works which protected the bridge at Ulm; the confusion in the town was excessive. At the same time Prince MURAT made a movement with the divisions KLEIN and BEAUMONT, which were every where put the enemy’s cavalry to flight. On the 14th General MARMONT occupied the bridges of Unterkircher, Oberkirch, at the confluence of the Iller with the Danube, and all the communications of the enemy on the Iller. On the 15th, at day-break, the EMPEROR himself appeared at Ulm. The corps Prince MURAT, and those of Marshals LANNES and NEY, ranged themselves in the order of battle, to make an assault, and force the entrenchments of the enemy. General MARMONT, with the division of dismounted dragoons of General D’HILLIERS, blockaded the town on the right bank of the Danube. The day was dreadful: the troops were up to their knees in mud. The EMPEROR had not taken off his boots for eight days. Prince FERDINAND had marched off in the night towards Biberach, leaving twelve battalions in the town and upon the heights of Ulm, which were all taken, with a considerable quantity of cannon. Marshal SOULT took possession of Biberach on the 15th, in the morning. Prince MURAT set out in pursuit of the enemy, which is in a dreadful state of dissolution. Out of an army of 80,000 men there are only 25,000 remaining, and hopes are entertained that they will not be able to escape us. Immediately after his arrival at Munich, Marshal BERNADOTTE pursued the army of General KIENMAYER, and took some waggons and prisoners from him. Since the commencement of the campaign we have made twenty thousand prisoners; taken from the enemy thirty pieces of cannon and twenty standards. On our side the loss has been but small. If we add to that the deaths and the desertions, we may reckon the Austrian army is already reduced one half. So much devotedness on the part of the soldiers, so many affecting proofs of their attachment to the EMPEROR, and so many brilliant achievements, would require to be detailed more minutely. They shall be given as soon as these first operations of the campaign are terminated, and that it is positively ascertained how the wreck of the Austrian army will escape from Biberach, and the position they will take. 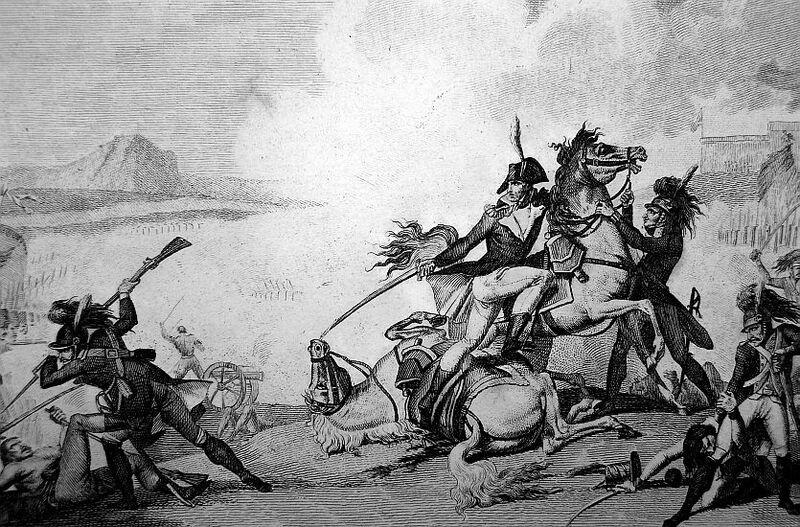 At the battle of Elchingen, which was one of the most brilliant military achievements that can be quoted, the 18th Regiment of Dragoons, and Colonel LEFEVRE, COLBERT, the Colonel of the 10th Regiment of Chasseurs, who had a horse killed under him, Colonel LAJONQUIERES, of the 76th, and a great number of Officers, distinguished themselves. The EMPEROR has today his head-quarters at the Abbey of Elchingen. The day of Ulm was one of the most brilliant in the history of France. The capitulation of the town is annexed, as well as the account of the regiments which are shut up there. The EMPEROR might have taken the place by assault, but 20,000 men defended by fortifications and wet ditches, would have made a resistance, and his desire was to save the effusion of blood. 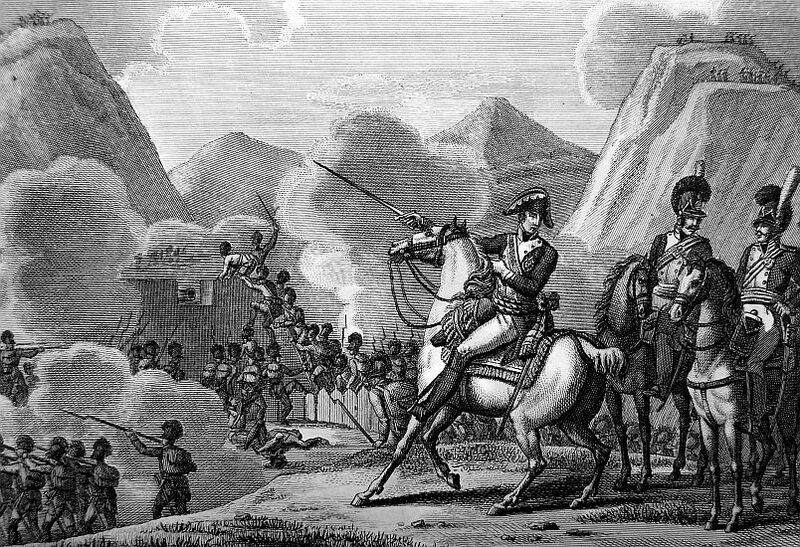 General MACK, Commander in Chief of the Army, was in the town; it is the fate of Generals opposed to the EMPEROR, to be taken in fortified places. It will be recollected, that after the brilliant movements on the Brenta, the old Field-Marshal WURMSER was made prisoner in Mantua; MELAS was also at Alexandria; MACK is so at Ulm. The Austrian army was one of the finest that Austria ever had; it consisted of 14 regiments of Infantry of the army of Bavaria, as it is called, 13 regiments from the Tyrol, and five regiments which had been sent in waggons from Italy: altogether 32 regiments of Infantry, and 15 regiments of Cavalry. The EMPEROR had placed the army of Prince FERDINAND in the same situation in which he placed that of MELAS. 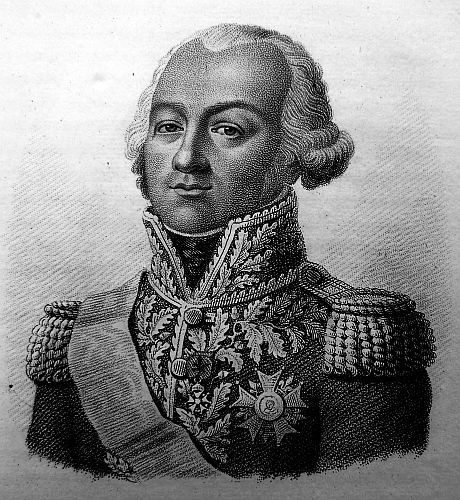 After having long hesitated, MELAS adopted the noble resolution of piercing through the French army, which occasioned the battle of Marengo. 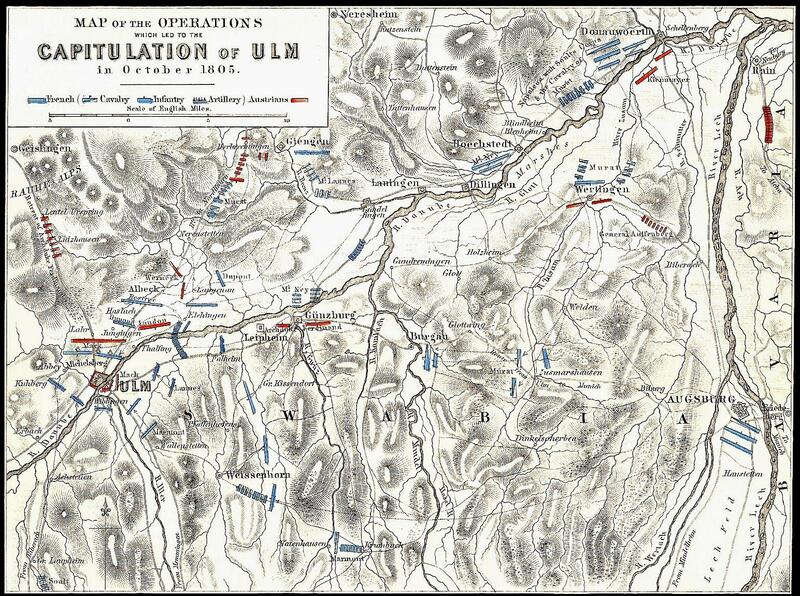 MACK took another resolution; Ulm is the point of the union of a great number of high roads; he had formed the plan of making his divisions retreat by these roads, to re-assemble them in Bohemia and the Tyrol. The divisions of HOHENZOLLERN and WERNECK marched off by Heydenheim. A small division retreated by Memingen, but the EMPEROR, on the 12th, hastened from Augsburgh to Ulm, immediately disconcerted the projects of the enemy, ordered the bridge and position of Elchingen to be carried, which rendered every thing secure. 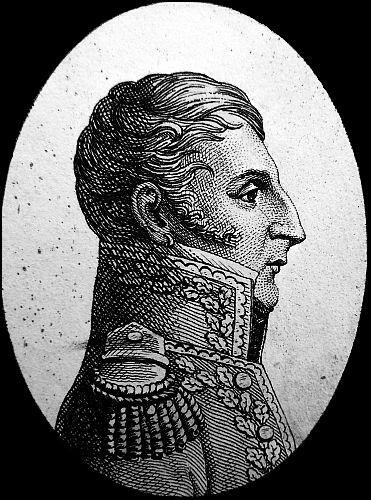 Marshal SOULT, after having taken Memmingen went in pursuit of the other columns. Prince FERDINAND hade therefore no other resource than to suffer himself to be shut up in Ulm, or to endeavour, by cross roads, to join the division of HOHENZOLLERN: this Prince adopted the latter resolution, and proceeded to Aalen with four squadrons of cavalry. 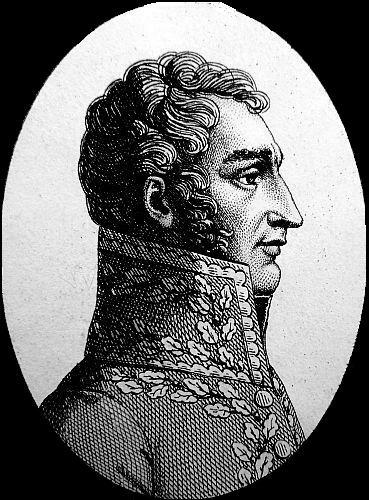 In the mean time Prince MURAT was in pursuit of Prince FERDINAND. The divisions of WERNEEK endeavoured to oppose him at Langeneau. He took three thousand of them prisoners, one of which was a General Officer, and two stands of colours. 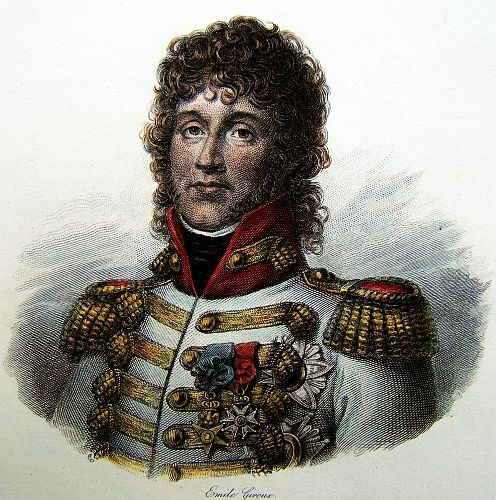 While he made a movement on his right, to Heydenheim, Marshal LANNES marched towards Aalen and Nordlingen. The progress of the enemy was retarded by five hundred waggons, and they were weakened by the battle of Langeneau. 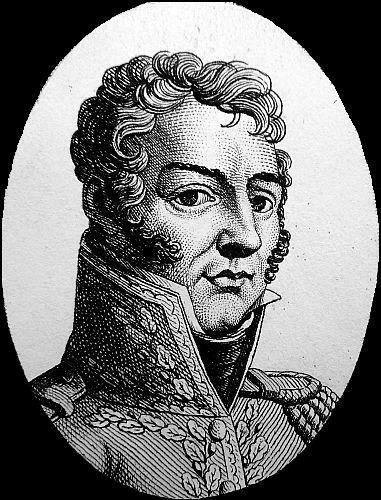 At this action Prince MURAT had much reason to be satisfied with the conduct of General KLEIN. The 20th regiment of dragoons, the 9th light infantry, and the chasseurs of the Imperial guard, particularly distinguished themselves. The Aid-de-Camp BRUNET displayed a great deal of courage. The action did not retard the march of Prince MURAT. He advanced rapidly towards Neresheim, and on the 17th, at five in the evening, he arrived before that position. The division of dragoons of General KLEIN charged the enemy. Two standards, a General Officer, and a thousand men were again taken at the battle of Neresheim. Prince FERDINAND , and seven of his Generals, had barely time to get on horseback. Their dinner was found on table. For two days they had no place of rest. It appears that Prince FERDINAND will not be able to escape the French army, unless by disguising his person, or getting off with a few squadrons by some bye-path of Germany. 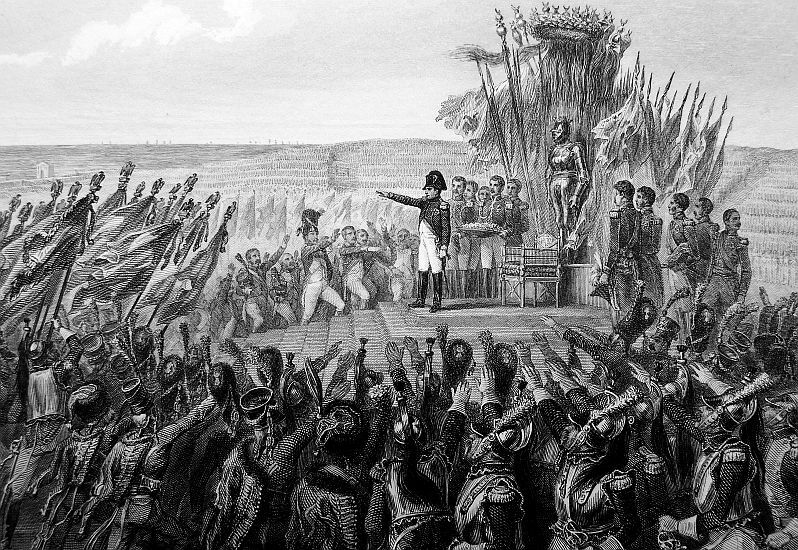 As the EMPEROR was passing through a crowd of prisoners, an Austrian Colonel expressed his astonishment to see the EMPEROR of the FRENCH wet, covered in dirt, as much and more fatigued than the meanest drummer in his army. 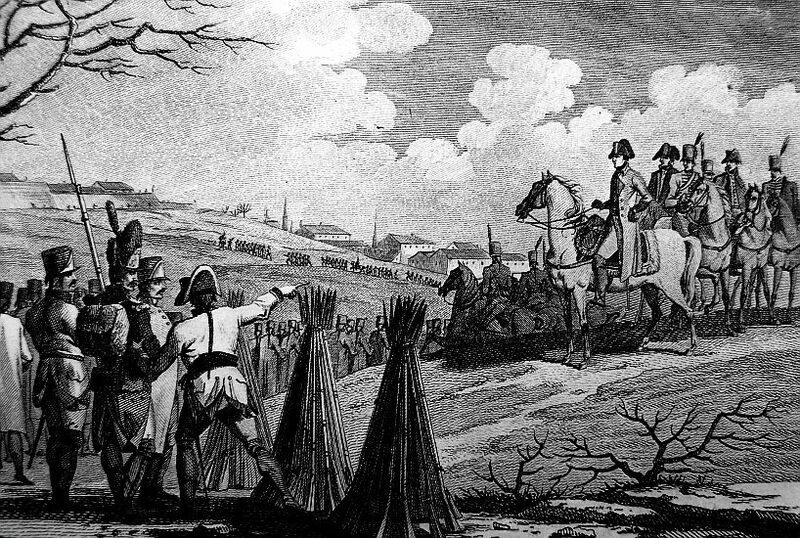 One of his Aide-de-Camps having explained to him what the Austrian Officer said, the EMPEROR ordered this answer to be made:–”Your master wished to make me recollect that I was a soldier; I hope he will allow that the Throne and the Imperial People have not made me forget my first profession.” The appearance of the army on the 15th was really most interesting. For two days the rain fell in torrents; the whole army was dripping wet; the soldiers had no provisions distributed to them; they were up to the knees in mud. But the EMPEROR infused fresh spirits into them; and at the moment he perceived whole columns in this state, he ordered Long live he EMPEROR to be cried. On the 18th, at five o’clock in the morning, Prince MURAT arrived at Nordlingen, and succeeded in surrounding the division of WERNECK. This General solicited a capitulation. The terms of the capitulation granted to him will not arrive until tomorrow. Lieutenants-General WERNECK, BAILLET, HOHENZOLLERN, and Generals VAGEL, MACKERY, HOHENFIELD, WEIBER, and DIENESBERG, are prisoners on parole, with permission to return home. The soldiers will be sent to France as prisoners of war. More than two thousand cavalry have surrendered, and a brigade of dismounted dragoons have been mounted on their horses. It is asserted, that the Reserve Artillery of the Austrian Army, consisting of five hundred carriages, is taken. 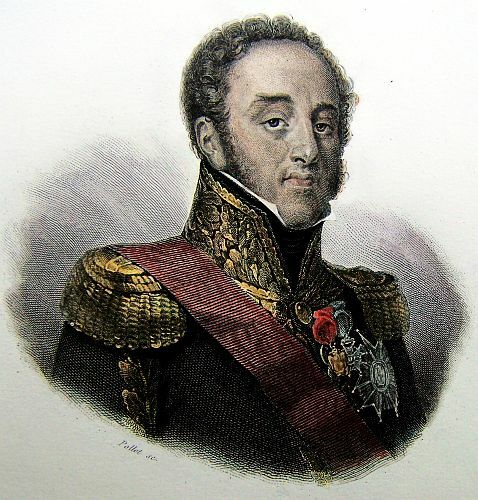 It is supposed, that all the remainder of the column under Prince FERDINAND is at this moment surrounded, Prince MURAT having outflanked his right on the side of Aalen, and Marshal LANNES his left towards Nordlingen. We expect to hear the result of these manoeuvres. Prince FERDINAND has now bet few men left. After an audience, which the EMPEROR granted to General MACK, at two o’clock this afternoon. 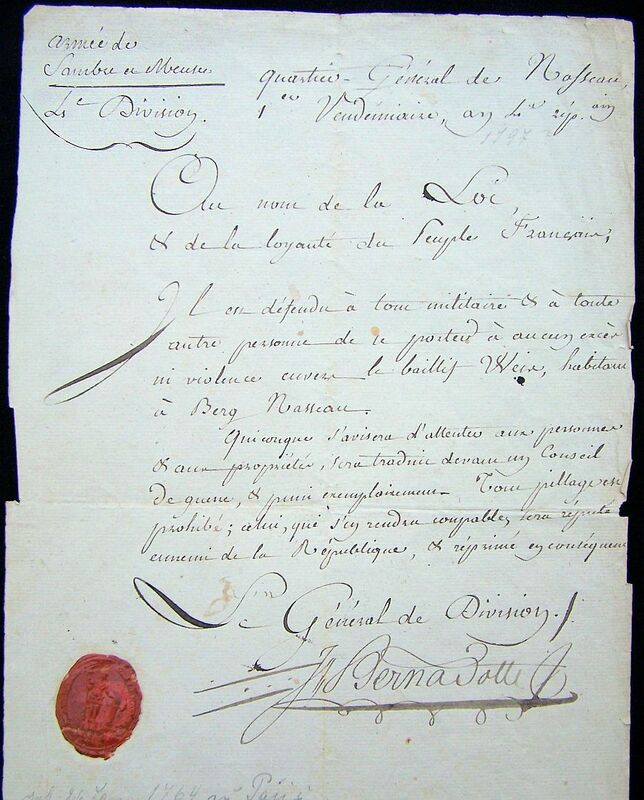 Marshal BERTHIER and General signed an addition to the Capitulation, purporting that Ulm must be evacuated by the Austrian Garrison on the 20th. There are at Ulm 27,000 men, 3,000 horses, 18 Generals, and from 60 to 80 pieces of cannon with their horses. 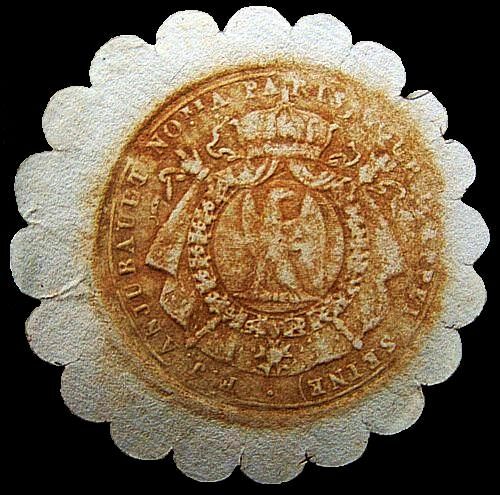 Half the EMPEROR’S guard had already set out for Augsburgh; but his MAJESTY consented to remain here tomorrow, to see the Austrian army file off. We become more certain everyday, that there are not 20,000 men escaped of this army of 100,000 men, and this extraordinary advantage has been obtained without the effusion of blood. The EMPEROR did not stir out of Elchingen today. The fatigues and continual rain to which he had been exposed for the proceeding week, required a short repose. But repose is not compatible with the direction of this immense army. Every hour of the day and night Officers arrived with reports, and it was requisite that the EMPEROR should issue orders. 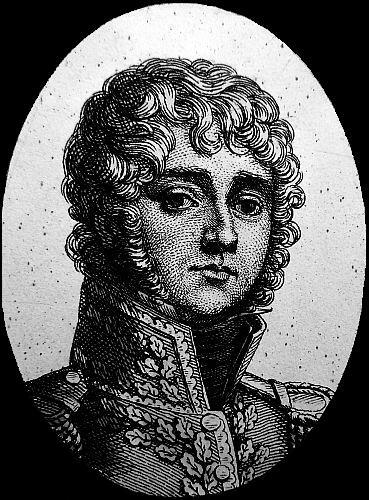 He seemed much satisfied with the activity and zeal of Marshal BERTHIER. Tomorrow(the 20th), at three in the afternoon, 27,000 Austrian soldiers, 60 pieces of cannon, and Generals will pass the EMPEROR in file, and lay down their arms. The EMPEROR presents the colours he has taken at Ulm to the Senate, they amount to 80, instead of 40 stands, at which he formerly stated them. It is supposed that the EMPEROR will set out for Munich tomorrow evening. The Russian army has arrived on the Inn. THE IMPERIAL HEAD-QUARTERS AT ELCHINGEN, OCT. 21. In a fortnight we have finished a campaign. We have accomplished our purpose. We have expelled the troops of the House of Austria from Bavaria, and re-established our ally in the sovereignty of his States. That army, which with equal ostentation and imprudence, had posted itself on our frontiers, is annihilated. But what does this signify to England? Her purpose is accomplished. We are no longer at Boulogne, and the amount of her subsidy will thereby be neither increased nor diminished. Of 100,000 men who composed that army, 60,000 are prisoners; they will go to take the place of our conscripts in the labours of our fields. Two hundred pieces of cannon(their whole park), 90 stand of colours, and all their Generals, are in our hands; there have not escaped of this army 15,000 men. Soldiers, I had announced to you a great battle; but, thanks to the bad combinations of the enemy, I have been able to obtain the same success, without running any risk; and, what is unexampled in the history of nations, so important a result has not diminished our force by more than 1,500 men. Soldiers, you owe this success to your unbound confidence in your EMPEROR; to your patience in supporting fatigues and privations of every description, and to your singular intrepidity. But we will not stop here. You are impatient to commence a second campaign. We are about to make that Russian army, which the gold of England has transported from the extremities of the Universe, undergo the same fate. In this contest is more particularly implicated the honour of the infantry. 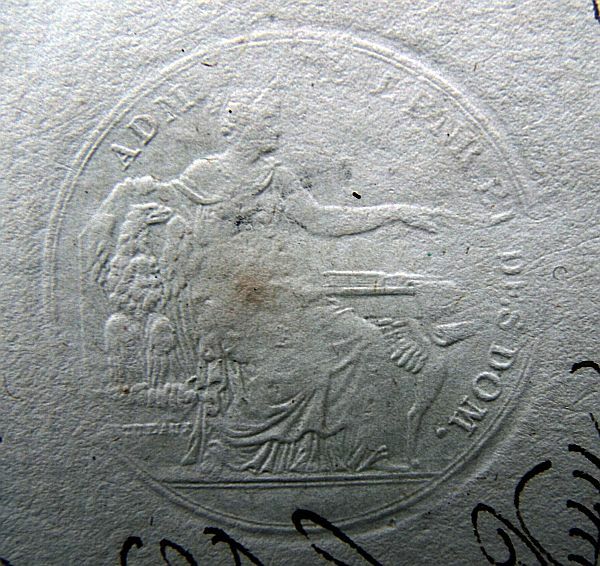 It is this which will a second time decide the question, already resolved in Switzerland and Holland–whether the French infantry be the second or the first in Europe. Here there are no Generals, in combating whom I can have any glory to acquire. 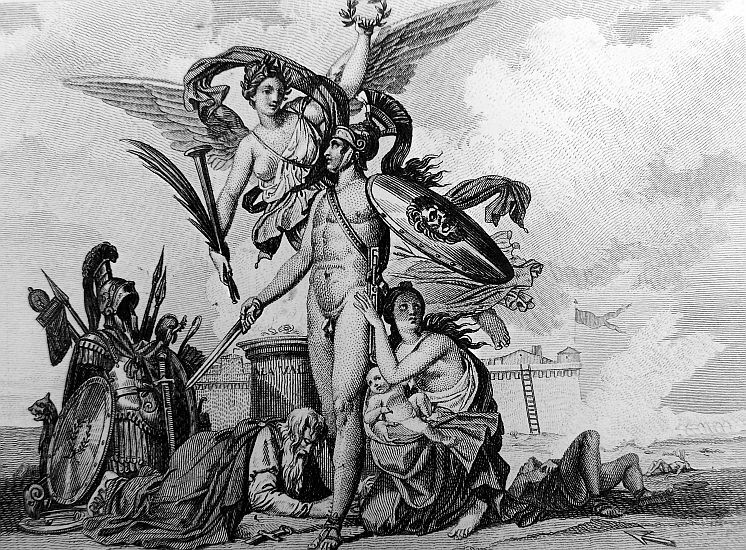 All my care shall be to obtain the victory with the least possible effusion of blood–my soldiers are my children. 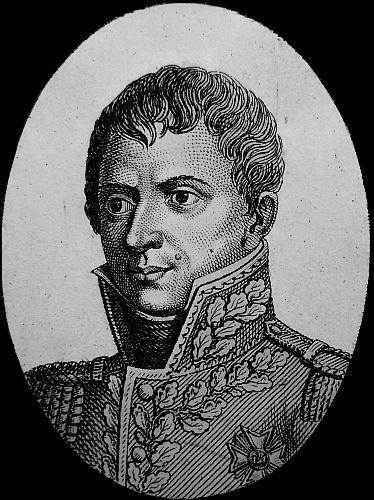 NAPOLEON, EMPEROR OF THE FRENCH, AND KING OF ITALY.